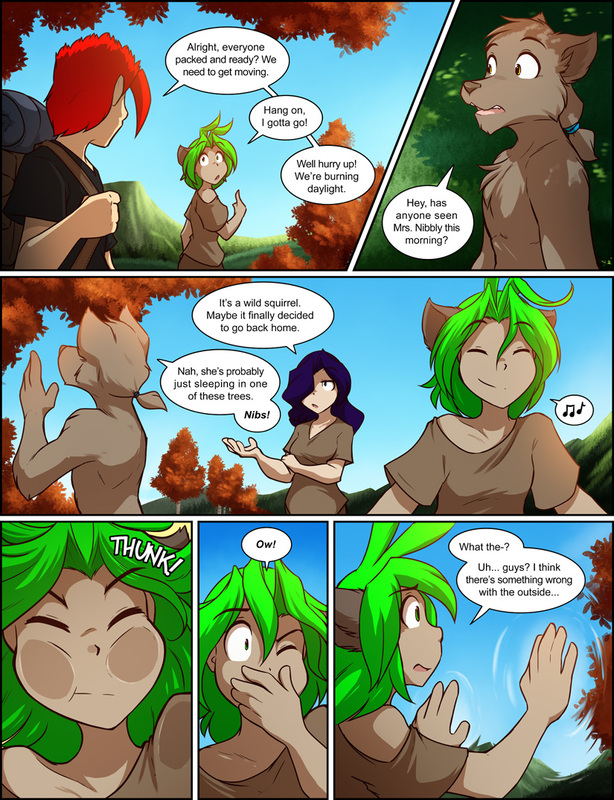 980: Hitting a Road Block - Twokinds - 15 Years on the Net! Red: Alright, everyone packed and ready? We need to get moving. Karen: Hang on, I gotta go! Red: Well hurry up! We’re bruning daylight. Sythe: Hey, has anyone seen Mrs. Nibbly this morning? Maren: It’s a wild squirrel. Maybe it finally decided to go back home. 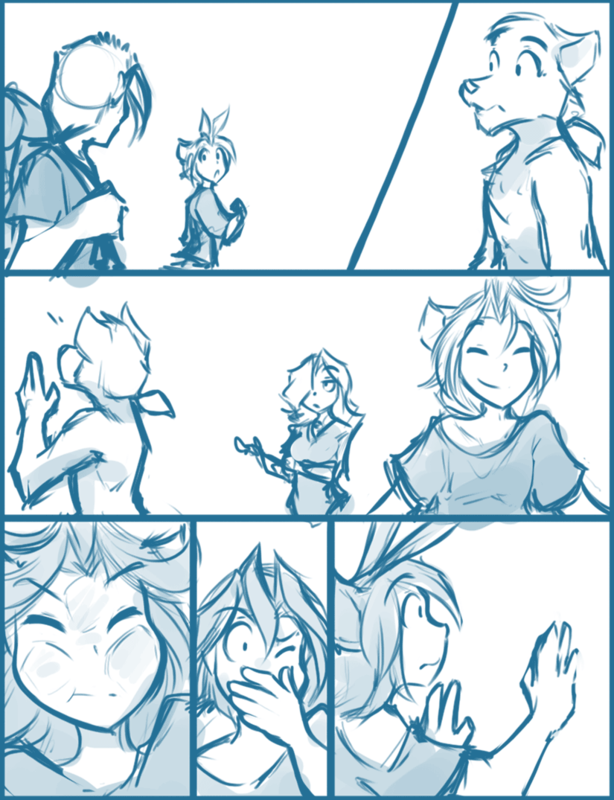 Sythe: Nah, she’s probably just sleepign in one of these trees. Nibs!